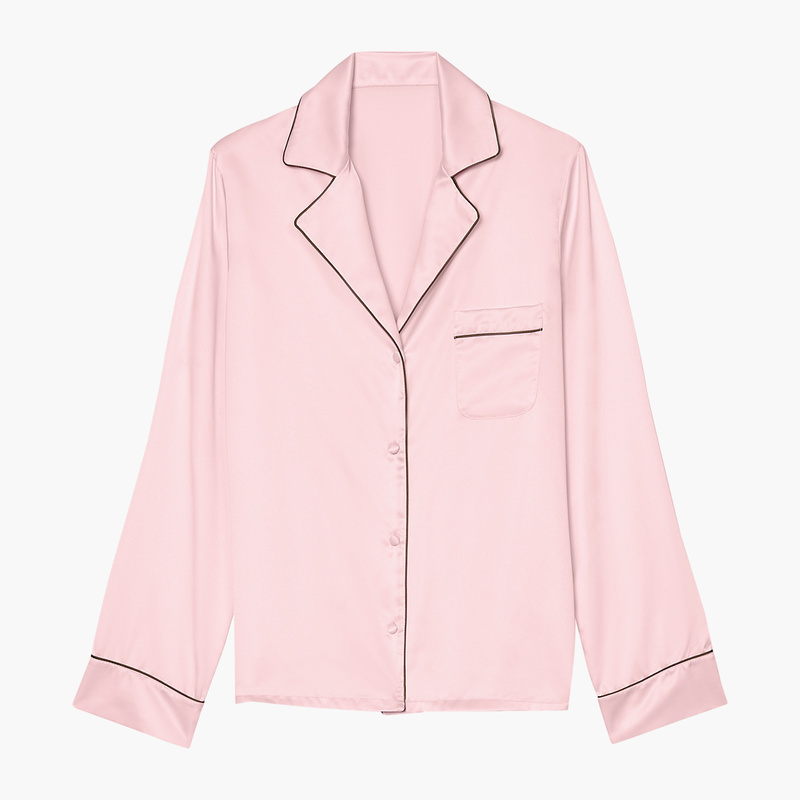 Our oversized Satin Pajama Top has a loose fit, boyfriend style side slits, and skinny piping on the front chest pocket. 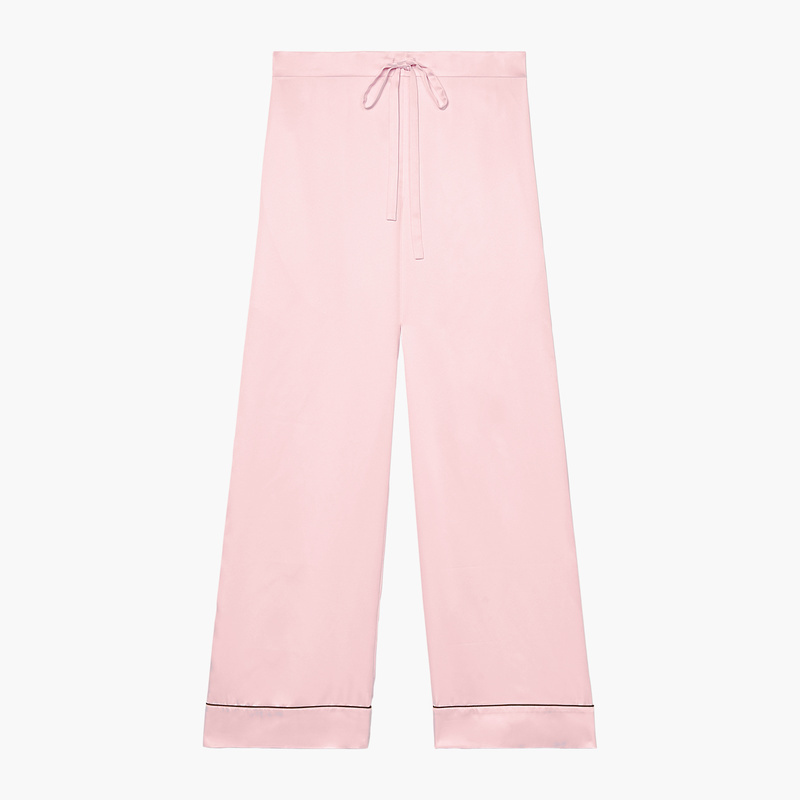 You're going to need the matching Pajama Bottoms, pronto. Love this! I bought it with the undies and bra to match everything! My first SavageXFenty purchase and I am amazed with the quality and color of this piece! I'm 5'0, usually a size xs-s, 32C in tops. The XS fit me perfect! The color is GORGEOUS, the piping makes it look a touch more fancy. It's comfortable, and it makes me feel like the badgyal herself. Highly recommend this my fellow femmes! Love the fit. 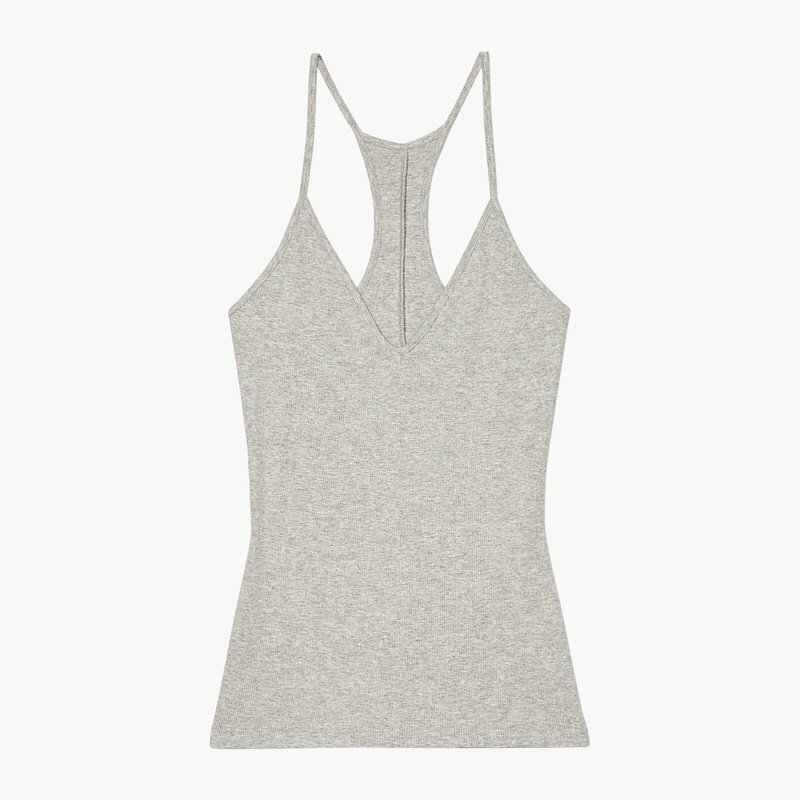 So soft and comfortable, will buy more colors. 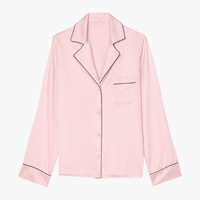 I decided I need to improve on my usual winter flannel pajamas, and these are perfect. I love the whole range of colors, but emerald tiger was the clear winner for me. I'm a size 4 or XS/S in shirts, and got the small, but I'm going to exchange for the XS. The small has plenty of room in the chest (I'm a 32D), and the shoulder seams are off my shoulder, so I think the XS will be more the fit that I want.